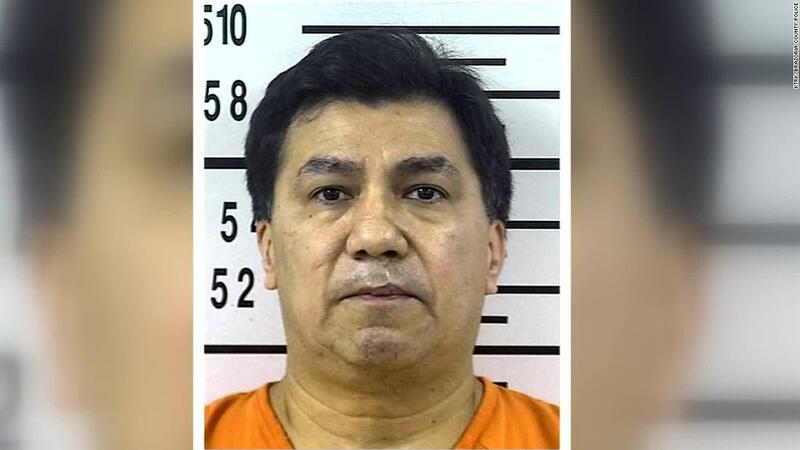 Hilario Hernandez was arrested after his wife, Belinda Hernandez, was killed on Saturday, CNN affiliate KTRK reported. The investigation led the police to issue an arrest warrant to Hilario Hernandez, found driving in Kingsville, Texas, about 250 miles south of Pearland. Hernandez, 56, has been employed by the Houston Police Department, with 33 years of service and was awarded the burglary and theft division, said Jodi Silva, a Houston police spokesman. "Our condolences and thoughts are with the victim's family," Houston police said in a statement. The district said it would provide student and staff advisors as long as needed. CNN's Hollie Silverman contributed to this report.